We understand what it takes to craft the best cup of coffee. Starting from the origin and quality of the bean, the roast, to the final stage of brewing the coffee with the best artisan techniques. When you combine the best coffee beans, the best roasters and the best techniques, you achieve the Best Cup of Coffee. 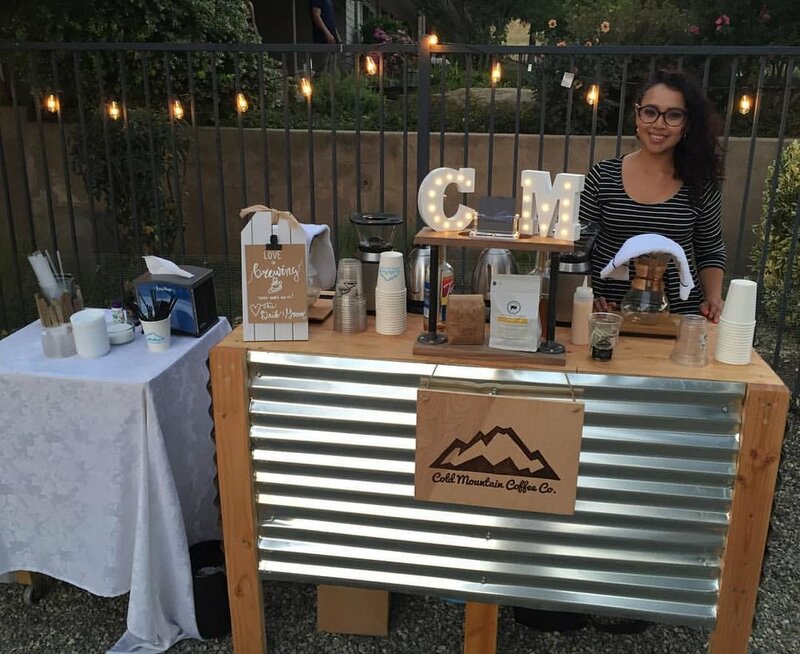 Whether at your event, or right in the hustle of your weekday work scene, Cold Mountain Coffee Co. is ready to bring our daily grind to your daily grind. We are passionate about sharing our coffee with you. We love the mobile food community in Fresno County and are excited to be a part of it. Follow us on social media to find out where we'll pop up next! WE ARE A FULL SERVICE ESPRESSO + COFFEE BAR. WE METICULOUSLY BREW ARTISAN BEVERAGES FOR YOU AND YOUR GUESTS FOR ANY OCCASION. 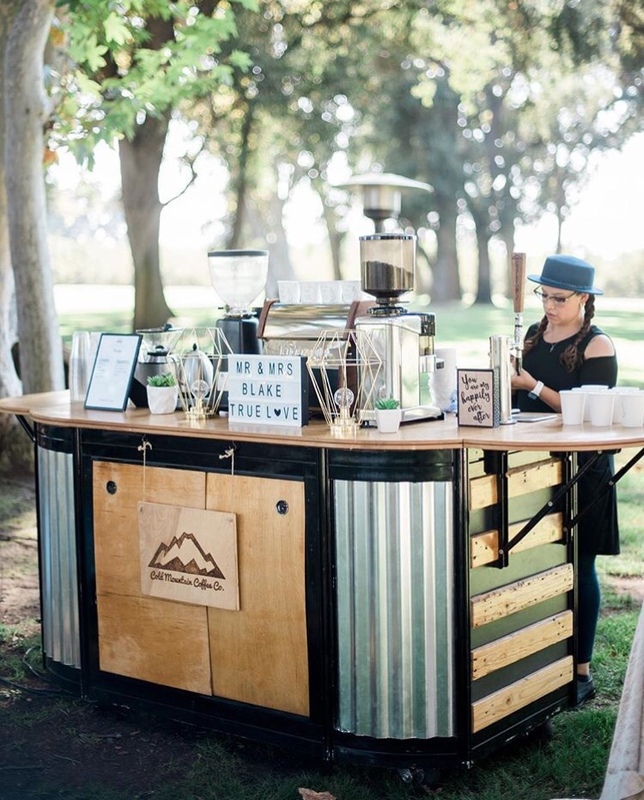 For private events, like weddings, corporate parties, church functions, etc., we offer unlimited beverages and full personal barista service for the occasion. *Prices are based on guest count, duration, location, and menu. Two hour minimum booking required. Contact us for more information. **Event attendees purchase their own drinks. Please contact us for more information. This number helps us determine staffing and product to quote. Please let us know any details or questions you have about your event to help us make an accurate quote for you. Coffee is the first thing most people crave at the beginning of their day. A business transaction or partnership can be established over a cuppa joe and a firm handshake. A shot of espresso on a Monday morning can spark a Nobel Prize winning discovery. An extra cup of java can help master the final touches of a beautiful work of art. A warm brew can champion a profoundly crafted novel. A casual coffee rendezvous can ultimately be the last first date for two individuals that results in marriage and a family. On Friday, January 25, 2013 Tammy and Ismael met for the first time in Hollywood, CA on the set of the popular game show "Let's Make a Deal" in full costume. After having small-talk in the production room, Tammy soon discovered that the man in the flying monkey suit who shared her love for pickles was also part of the church group that traveled from their home. The two had their very first date a day after they met, had a few laughs about the pretty tigress and the quirky monkey’s first encounter, and the rest was history. They now live happily together in Fresno, CA along with their "fur babies", two cats named Harvey and Ting-Ting and two dogs named Riley and Cornelius. After years of drinking craft coffee (Ismael claims he's been drinking coffee since he was 4 years old), tedious hours of studying technique, volunteering barista service and home brewing, the two decided to launch Cold Mountain Coffee Co. in their hometown of Fresno in the summer of 2016!